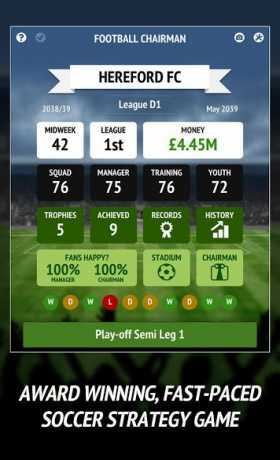 Create a football club from scratch, starting as a tiny non-league team, and see if you can make it through seven divisions to the very top. 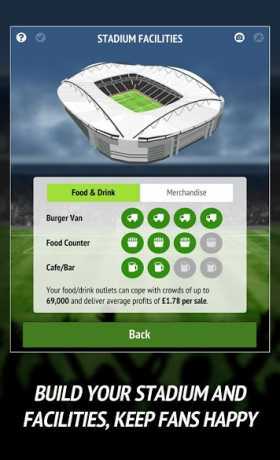 Hire and fire managers, develop your stadium, negotiate transfers, contracts and sponsorship deals… while keeping the fans and the bank manager happy. 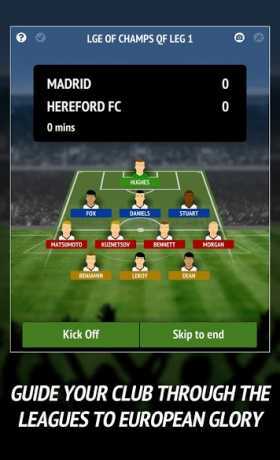 Football Chairman Pro is the latest and most in-depth version of the chart-topping Football Chairman series. – Plus thousands of tiny improvements to the gameplay. Good luck… you’ll need it! * Want to try a free version of the game before downloading this one? Search the app store for ‘Football Chairman Free’.